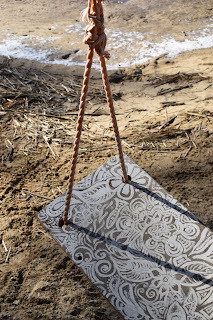 I still firmly believe any time outside is better than inside - with a few exceptions of course. In continuing my weekend explorations, I went real hard this past weekend. The project that I've been working on has really pushed me to visit places I haven't before - and thankfully, I've only been disappointed once. Unfortunately, that one disappointment was this weekend but thankfully it was short-lived. All in, I went to four sites on Saturday. Two by myself and two with separate friends. The dud in the bunch was the Bourne Island trail. It has promise and perhaps would be better if you had a friend with you. Unfortunately, I had my mom's voice in the back of head and turned back about half way down the very short trail. The entire trail is less than half a mile. 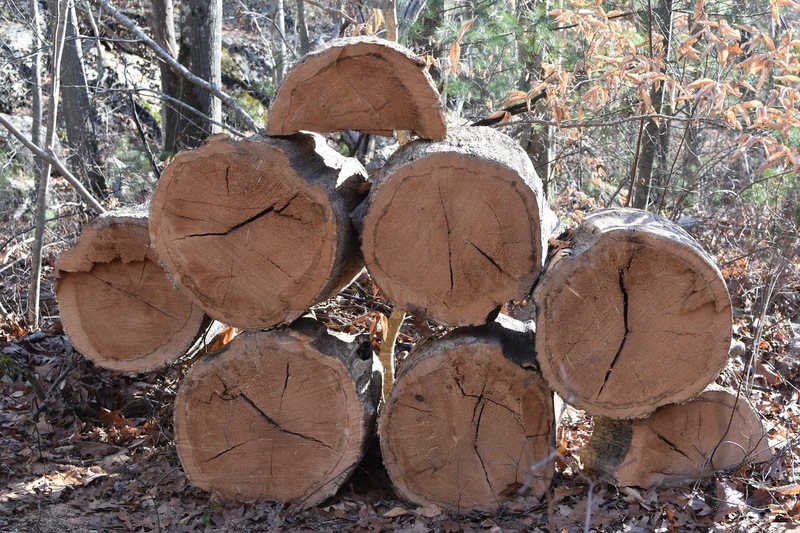 The repeat sites were the Nelson Memorial Forest and Couch Cemetery in Marshfield. The real winner was Daniel Webster Wildlife Sanctuary. I think I fell in love with it in part due to how I grew up spending many weekends at Felix Neck Wildlife Sanctuary on the Vineyard. It was such a great family activity. As I've been scanning hundreds and hundreds of family photos... there have been quite a few of us traipsing through the woods and even feeding a Blue Jay. Given these great memories, it was pretty shocking to me that I hadn't been to Daniel Webster before. When I pulled into the parking lot, I was one of two cars and knew that I pretty much had the place to myself. 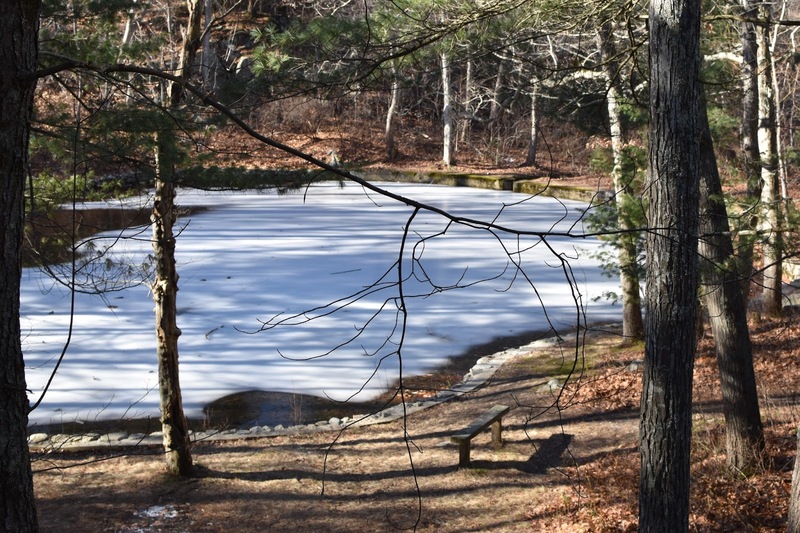 The sanctuary is a big piece of land that feels a lifetime away from the rest of the world. I can't wait to see how it looks in all four seasons... and in between. The paths are big and wide. 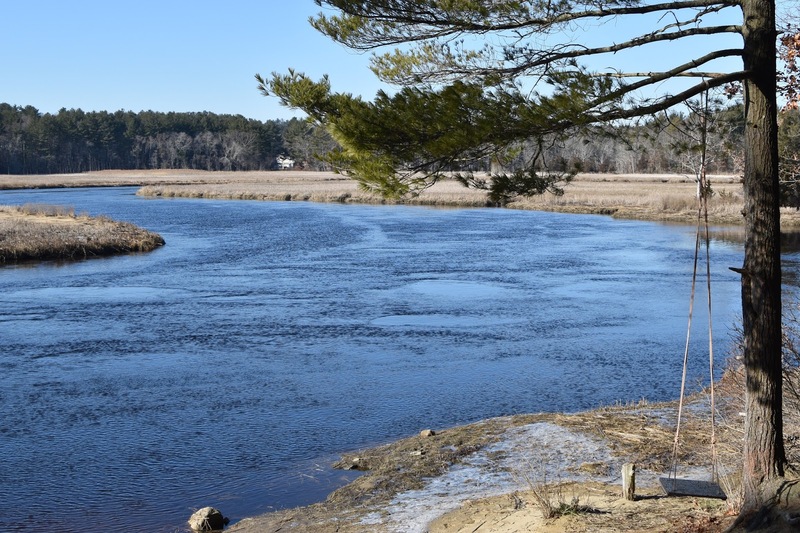 There are views of marsh and rivers. 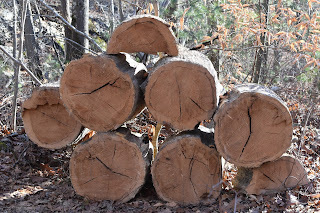 But I was most captivated by the boardwalks and the trees. I mean, super breathtaking. Two real killer moments? There was this particular point where you cross the river on a bridge. The water was so smooth and flat - and the lighting was just so perfect - that it was honestly hard to see what was a reflection and what was real. At the end of the sanctuary walkways, there is this lookout point. It's up a tiny little hill. So tiny that you honestly have low expectations of what you'll see at the top. But when you get to the top, it is just views for days. 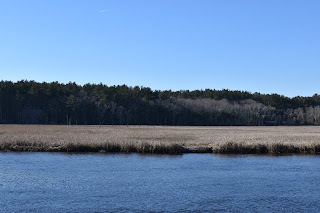 Marsh as far as the eye can see. The only downside is that dogs are not allowed. 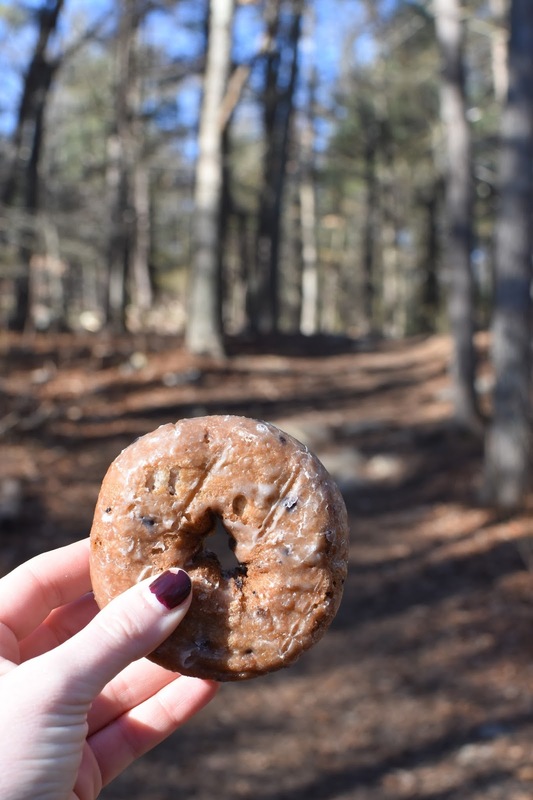 Thankfully they don't care whether or not you eat blueberry donuts. So yeah. I'll be going back here - and probably soon. It's Tuesday morning and I'm really wishing that it was more like Saturday morning - or even really Friday morning. We currently have a nor'easter and so the winds outside are insane. If there is an upside to this, it's raining so loudly that there is zero chance I'll forget my umbrella. In a fit of wistful healthy-ness, I bought bananas last weekend at the grocery store. I'm not really a banana person but they were only 39 cents a pound. I really thought I might be responsible enough to eat them for breakfast - but I wasn't. So the aspirational breakfast bananas have morphed into banana muffins. I will absolutely eat banana muffins. As punishment for not eating them sooner, I swapped in whole wheat flour - which is something I'm also not super fond of. My sister eats very healthy so I figured this would also make her happy. We often commute together in the morning. I can be seen eating a breakfast sandwich ... and she'll be eating an english muffin with quinoa coconut peanut butter. End result? 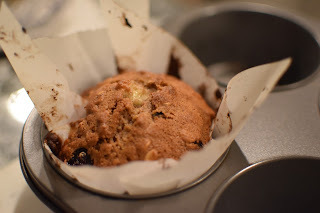 A banana breakfast muffin that is actually enjoyable. There is just enough sugar to make it tasty but not enough that it's terrible for you. Combine the egg, bananas, sugar, and vanilla in a bowl. After it is well blended, you can add in the melted butter. Do not add it until it is cooled, so you don't accidentally make scrambled eggs. 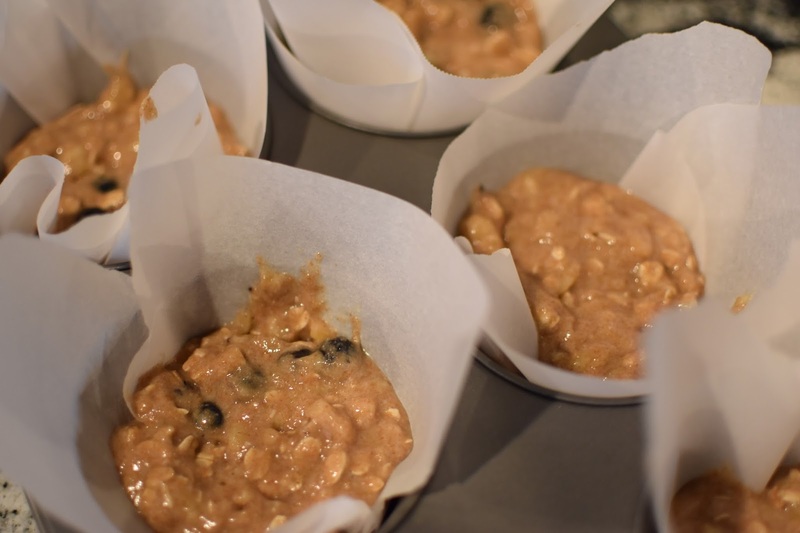 Combine all the dry ingredients in a bowl and then add to the banana mixture slowly. Once this mixture is combined well, you can fold in the blueberries. Portion into muffin tins and bake at 350F. Cooking time will be based on what size muffin you use. I went with a slightly larger muffin tin and it was about 20 mins. Use your judgement. I'm a fan of making meatballs. While they aren't exactly the "healthiest" dinner around, they are especially satisfying to eat standing in the kitchen after a long day of work. Sometimes I don't even make pasta to go with them - and by sometimes... I mean most times. 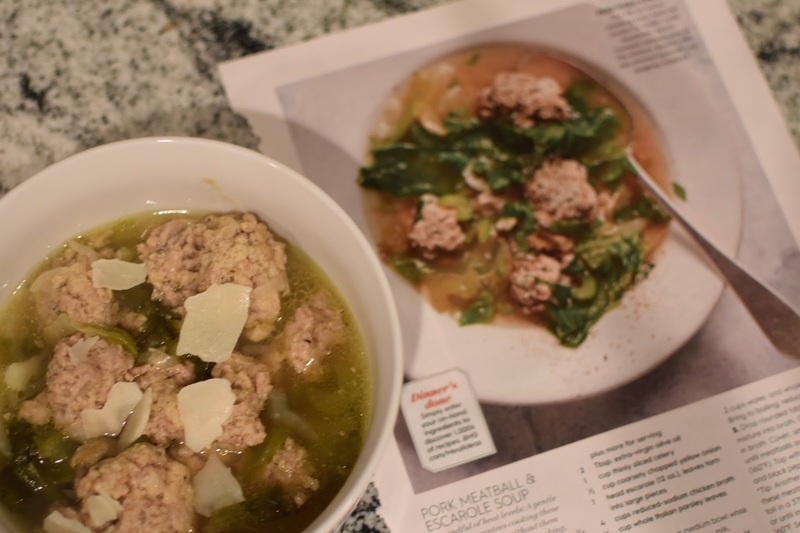 I came across this soup recipe this morning when I was flipping through some magazines. While I had no idea what "escarole" was, I was sold on making this because escarole was the only ingredient I needed at the store. Escarole was a whopping $2.29 so I was willing to take the risk on it. After a little bit of research, we might be in love with escarole. It's not very bitter. It can be eaten raw or cooked. Goes great in soups or as a salad. Maybe this will be a contender for the summer garden? I had a real rollercoaster of expectations for this soup. When I tore it out of the magazine = high. When I was putting the meatballs in the soup = low. When I tasted the broth = high. End result? It's a winner. 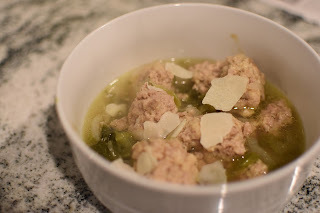 The only downside I have for escarole and meatball soup is that the meatballs are so tender and delicious that they fall apart a bit. As a result it won't look nearly as good at work tomorrow. For meatballs: In a medium bowl whisk together egg, bread crumbs, milk, nutmeg, and 1/8 tsp. each salt and black pepper. Stir in pork, chopped parsley, and Parmesan. 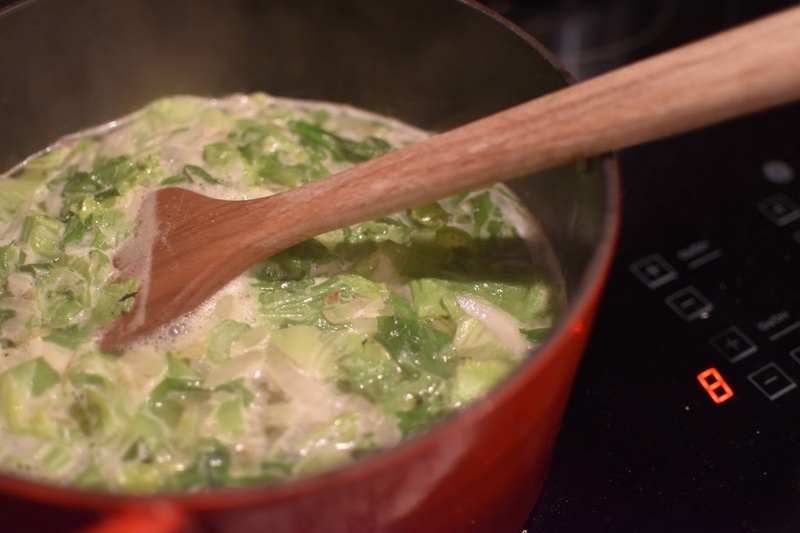 Add celery and onion to a medium-high pot with olive oil. Cook and stir 5 minutes or until tender. Then add in the escarole, chicken broth, 2 cups water, and whole parsley leaves. Bring to boiling; reduce heat to simmer. Drop rounded tablespoons of pork mixture into broth. 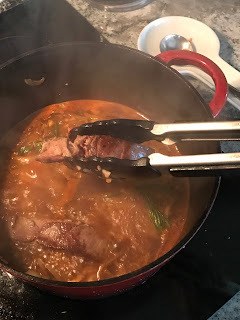 The meat still felt "loose" to me so I shaped them before putting them in the pot. 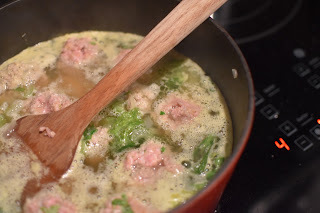 Gently submerge or stir meatballs in broth. Cover; simmer 10 minutes or until meatballs are cooked through. Back in the olden days when I used to live out of Hilton and commute to Philadelphia, I also used to eat of out chain restaurants practically every night. Suburban Pennsylvania wasn't a super hub of haute cuisine at that point - although I'm sure it is now. After a few months there, my coworker and I joined the local gym and then would treat ourselves to P.F. Changs afterwords. It was so good that you knew you were dying faster as a result of eating there. 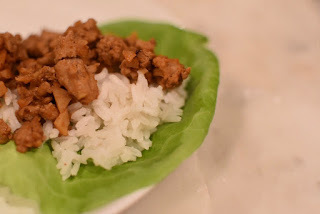 One of the meals I used to really like was the lettuce cups - so here is my first take on it. I actually found this recipe while trolling Pinterest on the train one day. I already had the ground turkey meat in the freezer so it was a relatively easy one to pull together. The benefit of this meal was that I was able to make a batch of this turkey mix in less than 15 minutes on a Sunday ... and then eat it all week. It comes together really fast and reheats well. However, after having my first two lettuce wraps I also discovered that this is absolutely not a meal. I was still starving. The following night I whipped up a batch of rice with my rice cooker and added that in. In my mind, the rice is required at this point. It becomes suddenly clear why this recipe was posted on the domain "eat yourself skinny".com. chili paste // I didn't have chili paste... and I absolutely wasn't going back to the store for a one time ingredient. I substituted in some tomato paste and a tiny pinch of cayenne pepper. Be gentle with the cayenne, it really gives it a kick. rice // see above. This is pretty much not optional in my book. 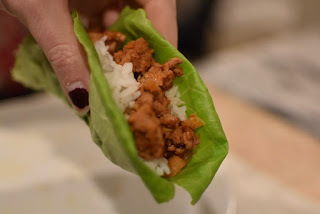 lettuce // I have always loved how tender and sweet Boston lettuce is - but it might be beneficial to swap in something with a little more structure. After a few bites of the wrap, I pretty much grabbed a fork. Heat oil in a large nonstick skillet over medium-high heat and then add turkey, garlic and ginger to the pan. Cook until the turkey is browned. Use your spoon to help crumble some of the meat. It'll cook faster. Add the onions and chopped chestnuts to the pan. Stir well. In a small bowl, combine the hoisin, soy sauce, rice vinegar and roasted red chili paste (or substitute) and drizzle over the turkey mixture. Toss to coat completely. Serve in lettuce cups with a base of rice. You know when you find something super unique and special and it just brings a smile to your face? That was pretty much the entire weekend. I had set out with the goal of checking out a few new spots for a project that I'm working - and completely struck gold. Or at least my version of gold. 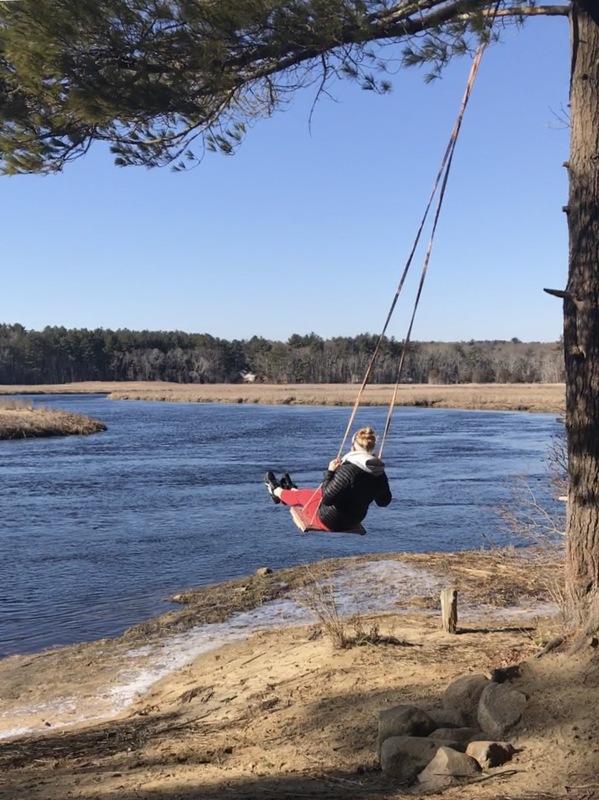 It feels like a win of a weekend when you slow braise some short ribs, find a channel marker on the beach, come across a skating pond in the middle of the woods, and ride a swing over the marsh. I've lived here a long time and so far I've only braised meat more than once. I had seen a few mentions of this on a community Facebook page and immediately wanted to find it. We've had some real high tides recently so I was a bit concerned it would have drifted away... but apparently the Coast Guard came by to tie the sucker down. 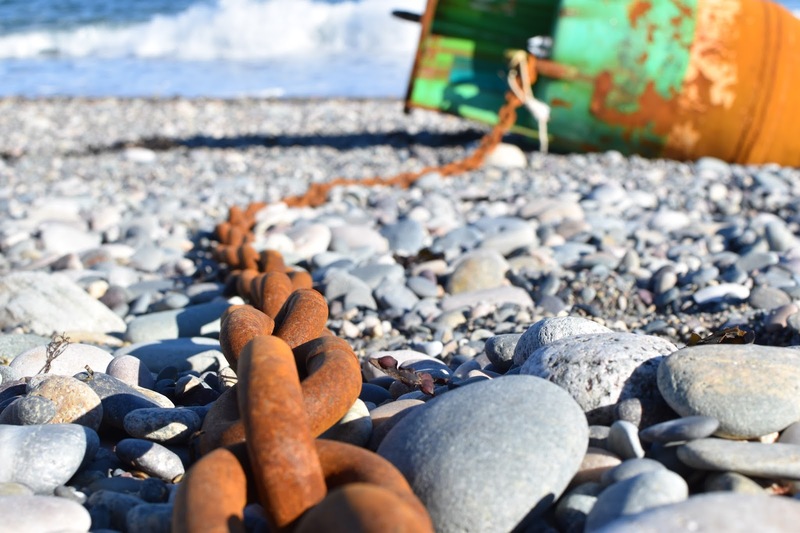 The chain didn't seem nearly heavy enough to stop this giant can from moving around but I'll leave it to the professionals to determine that. If it wasn't so windy and frigid, I would have climbed up on it for some sort of conquering yoga pose. 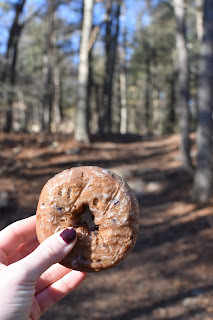 After seeing the channel marker, I picked myself up a blueberry donut and headed to a new trail in Cohasset. There is a great network of trails called Wheelright Park that has been built out (and maybe maintained?) by the Boy Scout troop in that town. The park itself is really awesome. While the trails aren't incredibly well marked - they are in general pretty wide and the map is accurate. 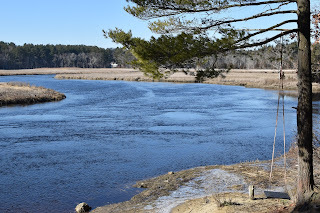 There was a side trail called the "Lemon Squeezer" that takes you off the main trail by a picturesque stream, old stone walls, and big holly trees. There was some historic fireplaces that I passed to - like literally a fire place outside... not a fire pit. 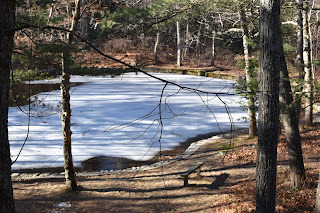 The skating pond was built in the 1935 by the Civilian Conservation Corps during the Great Depression and restored in 2002 by an Eagle Scout project. It is even listed in The Historical Index Survey of Architectural and Historical Assets of the Commonwealth of Massachusetts. So, I've lived in a 10 mile radius of this park for essentially 30+ years and had never heard of it. I've always been afraid of skating on ponds but I will absolutely be coming back here - even without a blueberry donut. This was actually my second visit to Couch - but the first was a failure. I couldn't find the entrance. That might sound crazy but it was the truth. You have to notice that there is a parking lot concealed by a half broken fence. At this point, I didn't know how amazing Couch was going to be. The main trail out to the point is wide enough for a truck and feels more like it's used for trucks than people... but at a certain point it switches. This sounds a little dramatic but it's kind of breathtaking when you get to the end. The trees are crazy tall with essentially clean ground underneath (e.g. no bushes). 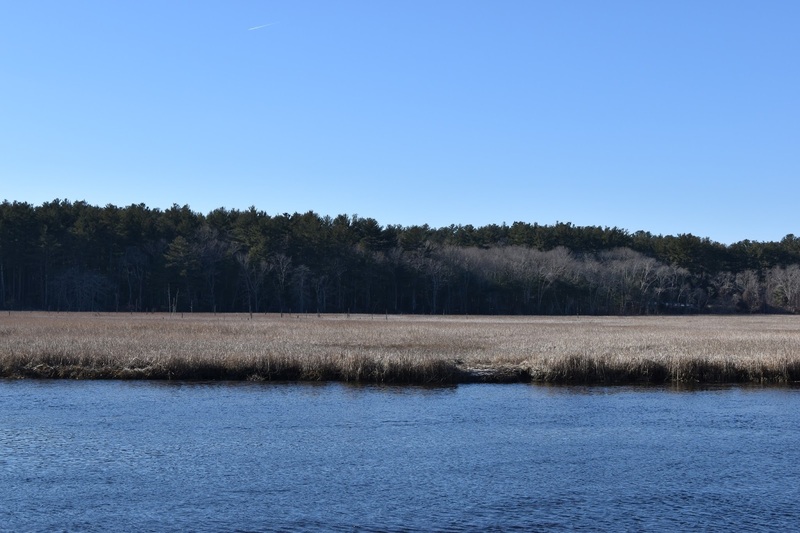 So, you come to this clearing with majestic tall trees and through them you can see just endless marsh and water. 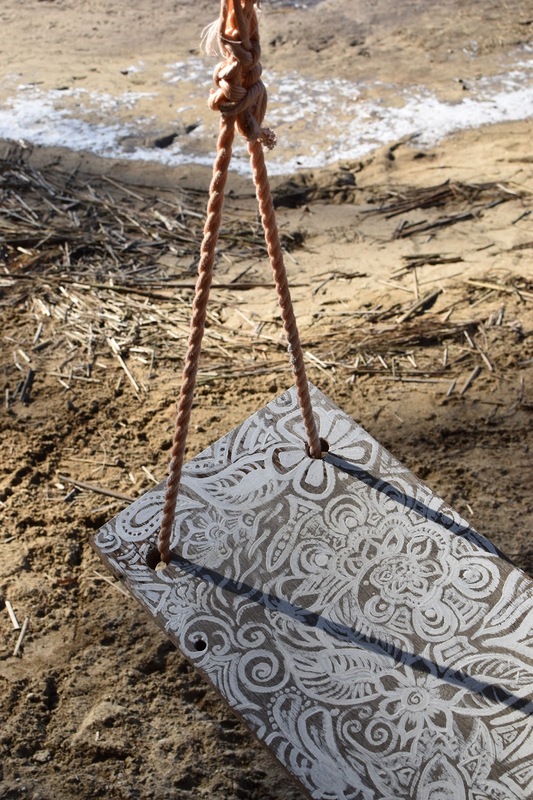 The swing is tucked on the side and not super obvious. It is however really amazing and inviting. I can't wait to come back and bring Ruby May. Oh wow. Things that will NEVER disappoint you? 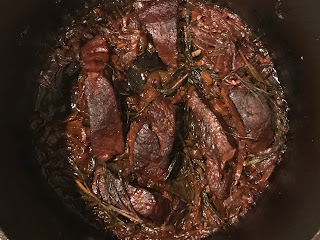 Slow braising meat. 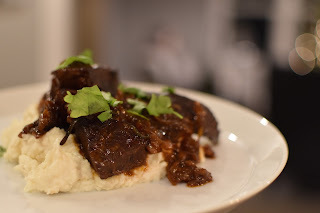 I remember when I made this short rib dish for Valentine's Day last year, I was really pleased... and I feel the same for this gem. It's seriously heavenly - especially on a frigid winter day. I was feeling a bit under the weather after my day of exploring - and almost didn't make this. 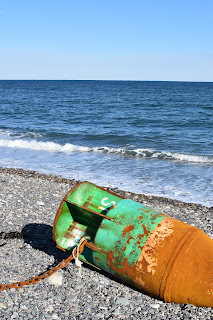 I had spent much of the day checking out different sites around the South Shore for a project that I'm working on. But, I had already defrosted the meat from the freezer... and there is no turning back once that happens. I'm in the midst of two initiatives: reducing my food waste and eating out of my freezer. This meal satisfied both challenges. Plus, I was able to let this sucker cook in the oven while I took in a really beautiful sunset walk. 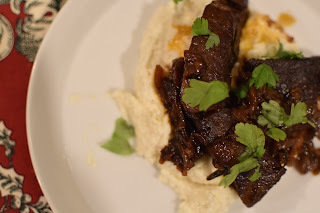 There were a few interesting notes about this recipe that are worth calling out - including how I lied and said this was short ribs even though it was not. meat // Truth be told, I've been trying to buy short ribs for weeks but it is pretty much impossible in the burbs. Every time I ask, they tell me they are out. I've been to three grocery stores and left empty-handed each time. So, this meat here is actually "tender chuck beef" - not short ribs - but it is the closest I could get ... and I also wanted to see if this cut would be a potential substitute. It worked totally fine. red wine // I've always felt like red wine was necessary whenever a recipe called for it - but I didn't feel like opening a bottle of wine. While I'm sure that it would have made a difference, this recipe was still super flavorful without it. Lesson learned! onions & rosemary // I can't even describe how amazing the onions turn out. The next time I make this, I will plan to make like 25-30% more. 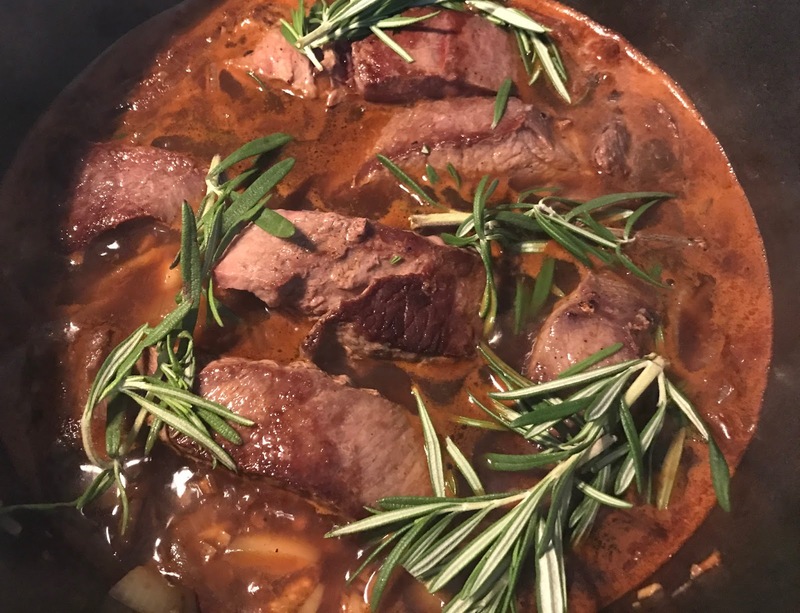 They are just so good after braising for a few hours. Hint? I sliced them rather thin before cooking so they almost like melted away. Heat the olive oil over medium/high heat in a ceramic coated cast iron pot. Sprinkle the meat in coarse salt and pepper and place in the pan. Cook until browned and then turn the meat to the other side. After you've done both sides, remove the meat from the pan to a plate. Add the onion to the hot pan and saute until onion is translucent, 4-5 minutes. You might need to add just a touch of olive oil to get the process going. Then add in the garlic and saute for a minute. Add the tomato paste and cook for another 30 seconds, coating the onion. Add the beef broth and bring the mixture to a simmer. 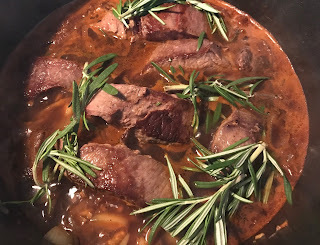 Then arrange the meat back in the pan and toss in a few rosemary sprigs. Cover the pod with a lid and put in the oven. Bake for about 2 hours. Start checking in on it at about 90 minutes to make sure you have just enough liquid left behind for a sauce. Pull from the oven and then serve over some veggies. I went with pureed polenta. Dice the polenta small to help it cook faster. Add polenta to boiling water and cook until tender. Depending on how small you dice, it might be 10-45 minutes. I was really hungry so my small shape helped the process be very fast. Drain and add the polenta to the food processor and add in softened butter. Puree the mixture and add in the milk until you get the consistency you are happy with. I guess technically it has been 13 months - not a sharp 12; but, I’ve been mentally writing this post for several months. The main way I’ve been reflecting about this is when two things happen. One? I put seaglass is the jar on my shelf. Two? Pretty much any time I go to Lowe’s. While I am afraid to really look at my credit card statements, I can tell you that a very high percentage of my expenditures these days would be irrelevant if I still lived in the North End. I don’t really get takeout on my way home from work anymore. Instead, I do things like buy extension cords. To be clear, I’m still eating on my “commute” - but it’s more like pretzel nuggets from Auntie Anne’s or Combos from the CVS in South Station. My diet is clearly something to be admired. So, this list is not inclusive of course but I can say with relative certainly I never would have bought a 50 lb bag of anything in the North End. I have pretty much exactly the same amount of friends that I had when I lived in Boston. But I certainly date a lot less. 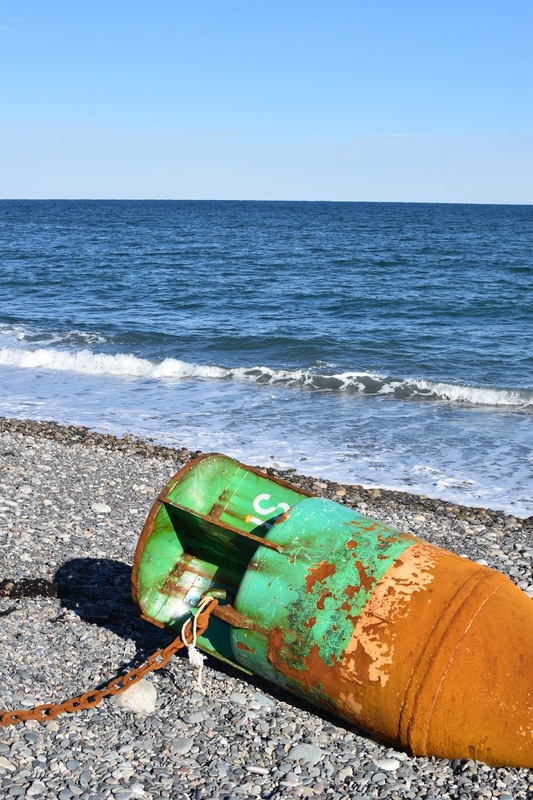 I was on a date recently that came to a screeching halt when I said I lived in Scituate. You know that feeling when you accidentally offend someone and then you scramble a bit to make up ground with them? That’s how it felt - except I had done nothing wrong. Thankfully, this memory was soon erased when another gentleman graciously snowplowed my driveway during the last storm … just to be nice. But not all of suburban life is harvesting tomatoes, decorating for Christmas, and scavenging for sea glass. I commute for about 3 hours a day. I often go to bed before 10 pm. I have been to one spin class in the last year. All that being said, the suburbs are pretty great. I personally know the name of my mail lady and UPS guy. I see the sunrise every day that it isn’t overcast. I’ll repeat that. Every day. No change is permanent and who knows where I’ll live in 5 or 10 years but I’m doing pretty great right now. BTW - I’m pretty proud of that jar of sea glass. I nearly filled that sucker to the top. Back in November, I opened up the jar to put in some finds and realized that it literally smells like the ocean. THE OCEAN. So now whenever I open it up, I get a little sniff and then shut it quickly for fear that the scent will be worn out and disappear. I also spent a good two weeks looking on eBay for my 2017 jar. Can’t wait for Regina the mail lady to deliver it. Today was a flipping home run. There was snow, there were cinnamon buns, there were good deeds and there was a grilled cheese for lunch. The long and the short of it is that I had friends coming over for breakfast and it had just snowed like a foot. 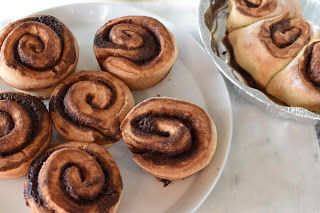 The only solution was clearly to make some cinnamon buns that would bake while I was shoveling the driveway. If the driveway was filled with snow, where would my guests park? 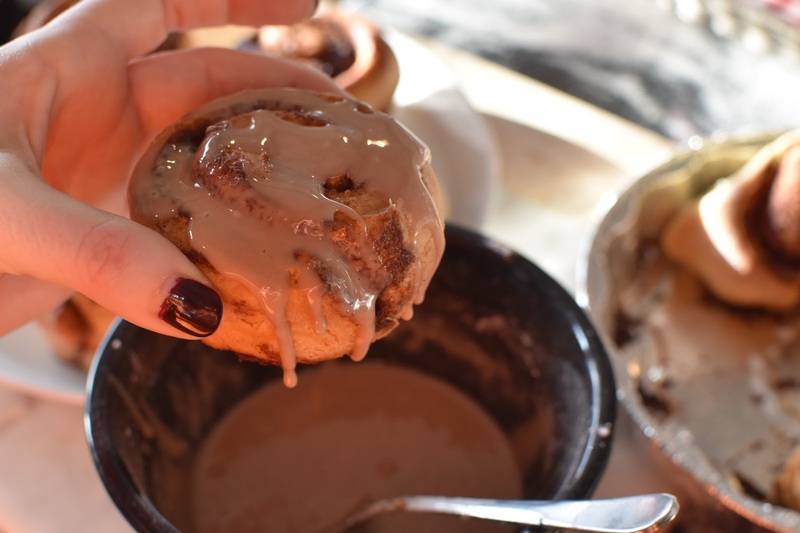 Who would eat all the cinnamon buns? Flavor // I'm a pretty big fan of this recipe and love the subtle chocolate flavor. It still tastes like breakfast but the hint of cocoa powder makes it great - and kind of conceals any flavor that might be missing from it only taking 45 minutes. I also added cocoa powder to the glaze because I was feeling pretty wild. It was another good decision. Nuts // In hindsight, I wish I had added some chopped nuts in there. Roll Tight // I rolled the dough up nicely - but it could have been better. Your dough will not break in half if you get a little aggressive with it. Muffin Tin // I highly recommend using a muffin tin to bake your buns. It makes individual presentation real strong. That being said, if you were bringing them to a party or brunch or something then putting them in a tin would be better. I ran out of muffin tins so a few sad ones ended up in a pan. While these babes were cooking in the oven, I was giving it a go shoveling the driveway. Like many suburban activities, I grossly underestimated the time this would require. Thankfully, after 15 minutes of shoveling... a very nice guy pulled up and randomly offered to help out. I really try to say hi and wave to everyone when I'm out walking... and I think it is paying off. Also, people might think I'm crazy but whatever. In a large bowl, mix the flour, the sugar, salt, and yeast together until evenly mixed. In a microwavable bowl, heat the water, milk, and butter together in the microwave until the butter is melted. Add the butter mixture into the flour mixture. And give it a bit of a mixture just to distribute the hot liquids, then add the egg and knead with the stand mixer. It'll take about 3 minutes for the dough to not be sticky anymore. Place in a lightly greased bowl and let rest for about 5 minutes. Preheat the oven to 200 degrees and turn off after 10 minutes or just before placing rolls in oven. 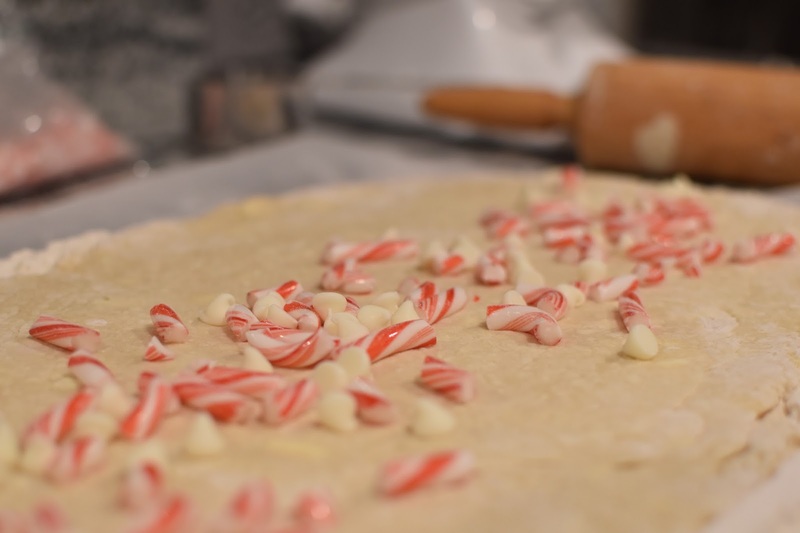 While the dough is resting, you can make the filling. 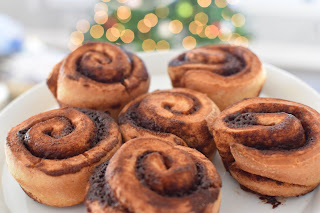 Blend the softened butter, brown sugar, cinnamon and cocoa powder. After the dough has rested for 5 minutes, roll it out into a large rectangle (like 15x9). Spread the softened butter mixture on top. 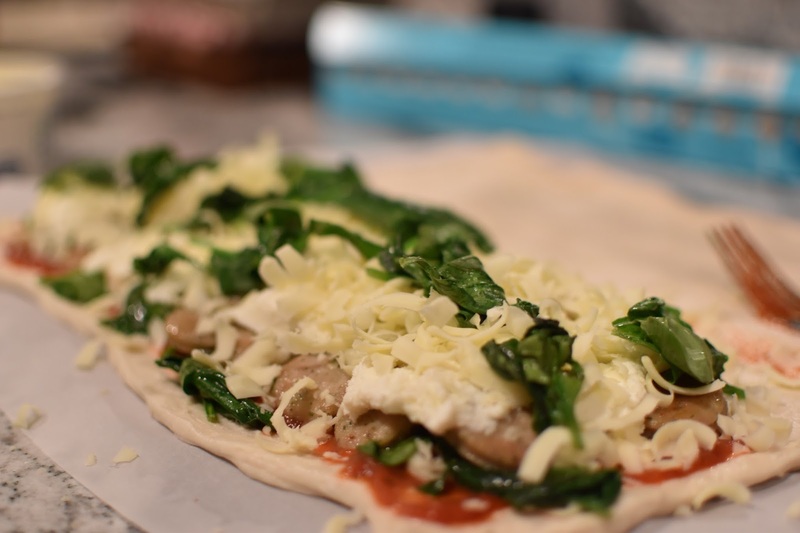 Roll up the dough tightly and cut into pieces. If you go with about 2 inches a slice, you'll get some good sizes rolls in the end. Arrange the cut rolls into lightly greased muffin tins or a square pan. Lightly cover the rolls with tin foil and TURN OFF the oven. Place the cinnamon buns in the oven to rise for 20 minutes. Remove the tin foil, set the oven to 375F and bake for 20 minutes or until golden brown. While the buns are baking, you can make the glaze. 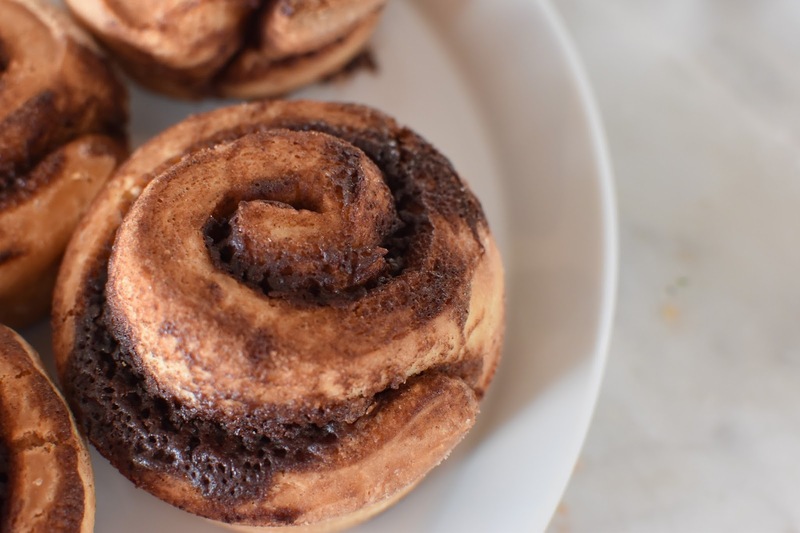 Mix the powdered sugar, cocoa powder and 2 Tablespoons milk together until smooth and lump free. Drizzle over warm rolls. Today was a weekend snow day. The town is allegedly expected to get about 14 inches of snow which makes me feel a million times better about my level of activity. I've been sitting in nearly the same spot on the couch for about 5 hours at this point. But to be fair, I did go to the gym, two grocery stores, a thrift shop and Dunkin Donuts all before Noon. When I realized it was going to snow all day, I immediately started to think about what meal would be the best fit. My first thought was of course a big ole batch of chili - but when I couldn't decide on a recipe... 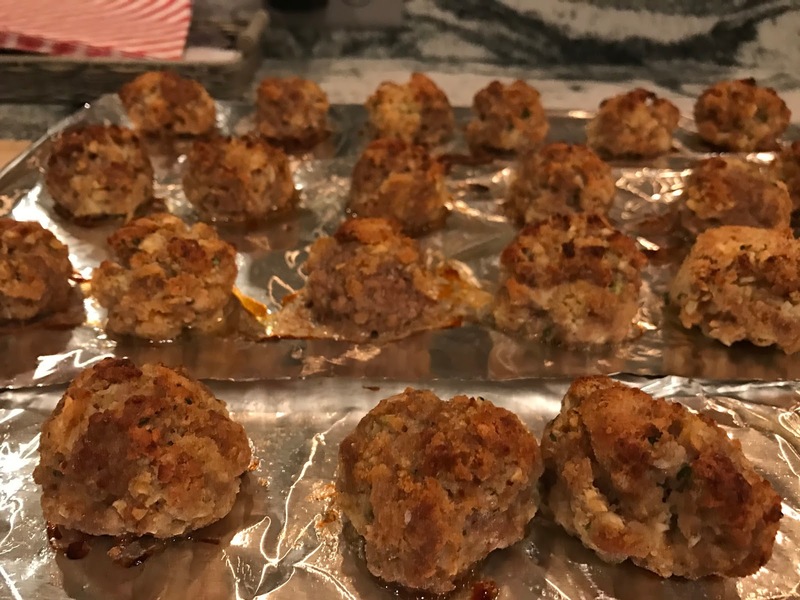 I ended up making these meatballs.... and I'm not the least bit upset. These meatballs are so tender that it is insane. Food Processor // I used the food processor this time to mix the onion, garlic, parsley, and ricotta. It was so much easier and I feel like it really helped all the ingredients become much more well combined. Bucatini Pasta // The last time I bought bucatini was about a million years ago - or more specifically 2007. At that time it was kind of a disappointment, but this time was great. The noodles were much smaller and more flexible. Pasta can be flexible right? Parmesan + Sauce // I don't know if other people do this but I mixed the parmesan into the sauce before adding in the pasta. I will now do this all the time. It feels genius. Place the breadcrumbs in a bowl and mix in the milk. Put the onions, garlic and herbs in the small bowl of a food processor and pulse until finely chopped. Add in the ricotta and egg. Pulse until combined again. Add the ricotta and meat to the breadcrumb bowl. Gently combine until evenly incorporated. Use might have to use your hands. Pinch off small amounts of the mixture and roll into meatballs, placing them on a plate or platter. I used an ice cream scoop but didn't fill it the whole way. I'd say the balls were about 2 inches in diameter. Bake the meatballs on a foil lined sheet at 400 F for about 25 minutes. Ugh. My baby brother is an unbelievable 18 years old now - and I just can't handle it. I have no idea how this happened. All I know is that just recently he was tucked into a carseat in the back of the jeep eating butternut crunch donuts. For the life of me, I can't seem to find a picture of this but there must be one somewhere. In the last 5 years I have really tried to scan all of our family pictures. Every time that I feel as though I'm making progress, I find another pile of albums. I hope that 2017 will be the year I finish scanning big albums. I've cooked Jake's birthday dinner the past couple of years - and each year he always wants the same thing. Calzone. 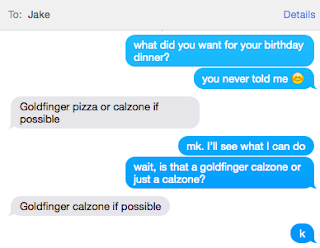 I first made calzone for him in 2012 and it ends up being an annual thing. There is go reason I only make it in December but that ends up being the truth. This year, I asked him what he was hoping for and he only had one request. Goldfinger chicken. We first learned about "goldfinger" sauce at this local bar (TK O'Malleys). Jake and I have lunch dates where we get bar pizza or chicken fingers. It feels like we end up being the first people there when they open on Sundays. But Goldfinger sauce is pretty intriguing. It's a fine balance of honey mustard and hot sauce... with a bit of butter in there too. When I asked for votes at the end of the night, there was honestly an even split across all three. The combination of options really seemed to cover all the bases. So I'm calling this a win - even though I took like zero pictures of this whole thing. Here's how it goes. Writing this up isn't exactly straightforward because it is 3 different recipes but hopefully you can understand this. Combine the honey mustard, hot sauce and butter in a pot on the stove. Heat on medium-low until the butter has melted. Stir until combined. Taste and adjust seasoning with additional sauces or salt and pepper. As a little bit of prep work, I cut up the chicken into smaller bite size pieces and marinated it for a few hours in goldfinger sauce. After marinating, saute up the chicken in a pan like you'd normally cook chicken. No big deal. Prepare your cooking sheet with cooking spray and tinfoil. Stretch out your pizza dough like you'd do if you were making normal pizza.... since calzone is essentially pizza folded in half. Don't get stressy pants about shape. It's calzone not brain surgery. Layer your ingredients on one half of the dough. 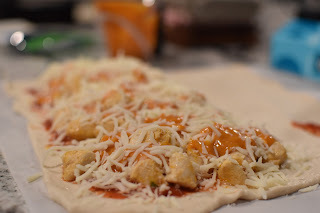 After you've filled the calzones, just bring the other half over and pinch the edges to seal. Cook in a 400 F oven for about 25 minutes. It wouldn't be a holiday if I didn't make scones. 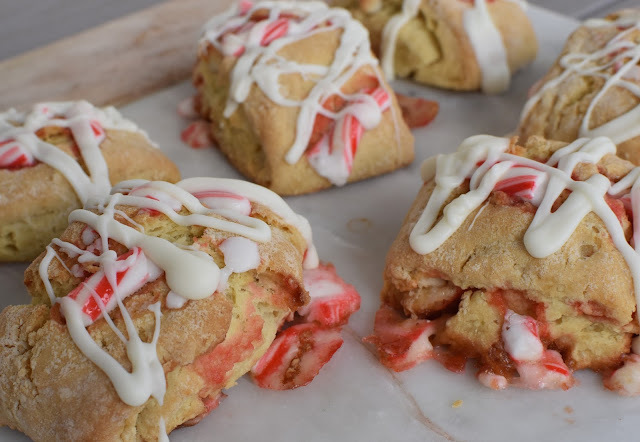 I only wish I could tell you that I made these scones with discounted candy canes - but I can't. I bought the candy canes full price from CVS about 3 weeks before Christmas and then they proceeded to sit on my stairs until yesterday. Honestly part of the delay is that grating the butter seems really arduous these days. Grated frozen butter is the key to good scones - but it's also a lot of work. However, in hindsight I would rather grate butter than unwrap a box of candy canes and then try to smash them into little bits. I'm pretty sure that the kitchen is covered in a fine layer of candy cane sugar dust - and then some flour because I also get that everywhere. DESSERT V BREAKFAST // this recipe skews more towards a dessert than a breakfast. Yes, I did still eat it for breakfast but the extra white chocolate flavor just kind of pushes it out of the morning meal realm. PEPPERMINT FLAVOR // The peppermint flavor is not heavy here - so I might recommend adding in some peppermint extract if you have it. 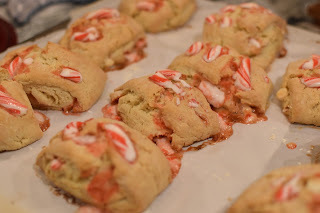 I actually like the flavor profile that exists currently but it is more of a "candy cane scone" than a "peppermint scone"
SMALL BITS // I gave up breaking down the candy cane into smaller bits - but it is absolutely worth the effort. 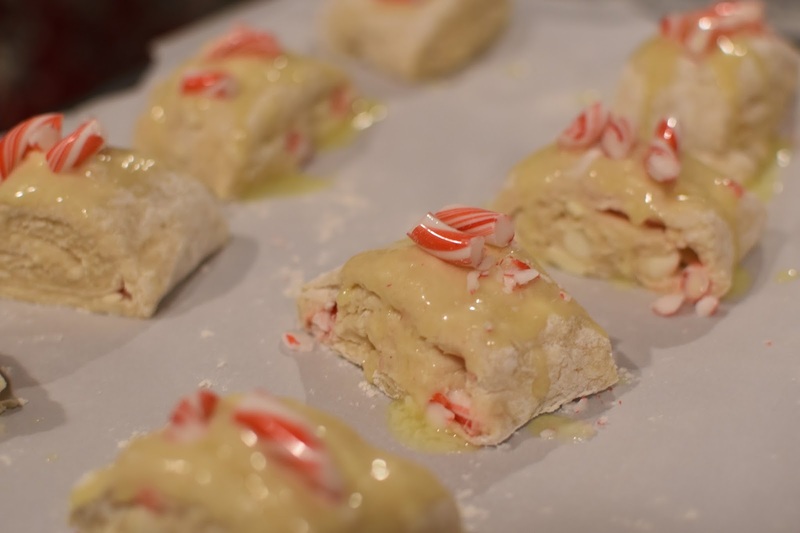 The smaller bits would have enabled me to put more candy cane in the recipe - and the smaller bits would melt down more while baking. Mix the flour, sugar, baking powder and baking soda in a bowl. Add the butter and mix until combined. In a separate bowl, combine the milk and egg and then mix into the flour bowl. Dump the dough onto a generously floured surface. Knead it until you get a bit of a dough ball. As a friendly note, the dough will not feel as solid as pizza, bread or pie dough... it always feels a bit loose. You can feel the little grated bits of butter pretty clearly. Once you have your dough baby, roll it out into a 12x12 -ish square. I'm never precise. Then, fold it up like a business letter. Put it in the freezer for 5 minutes. Roll out your dough once last time into a larger rectangle kind of like before. Then spread the candy cane and white chocolate chips on the dough and kind of gently press them into the dough. Note: I would normally spread the filling all over the dough but given how sharp and large some of the pieces were I focused on the middle. Brush the tops of each scone with melted butter and sprinkle with extra candy cane bits. Since the dough is still very cold from the freezer, the butter will actually harden on top of the scones. Bake in preheated 375F oven until they rise and turn a light golden brown, about 10-15 minutes.